"If couples live their married lives properly, training their children in the fear and admonition of the Lord as they themselves will live, it is quite unlikely that their home will produce delinquents, transgressors, or criminals. Most people agree that the problems in life start or get encouragement in the home. Wars would cease, criminal courts would close, jails and penitentiaries would remain largely unused, if all children were taught by the precept and example of worthy parents who loved each other and devoted themselves in total fidelity to each other." 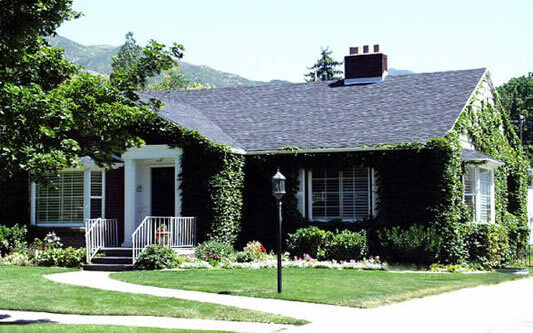 These pictures are of some of the homes and dwellings that Spencer W. Kimball had lived in after his calling as an Apostle and then as Prophet. He grew up in Arizona and attended the University of Arizona. He began his professional career working in banking. He would later open his own insurance agency and real estate agency. Spencer W. Kimball was also actively involved in the PTA, city council, Red Cross, Boy Scouts, and elected statewide leader of the Arizona Rotary Club in 1936. Spencer W. Kimball was ordained an Apostle on October 7, 1943, and became President of the Church on Dec. 30, 1973. 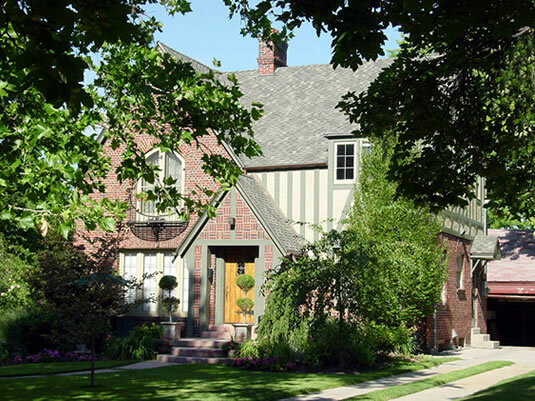 Spencer Kimball was living here when he was set apart as church president, and when he received the revelation in the temple to allow all worthy males to receive the priesthood. 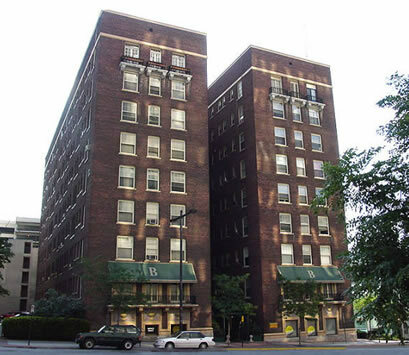 Spencer Kimball spent the last few years of his life and presidency living in a suite in the Hotel Utah, a classy hotel owned by the LDS Church. The Hotel Utah operated from 1911 until 1987. 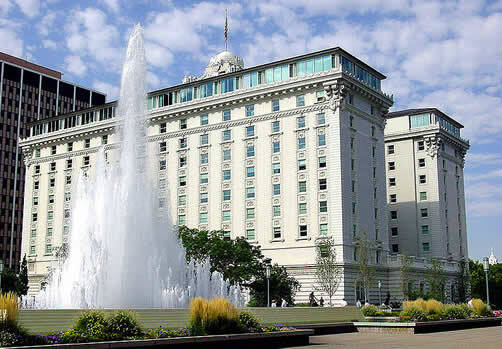 In 1993 the LDS Church renovated the building, converting rooms into administrative offices, restaurants, a chapel, meeting halls and a genealogical center and renamed the edifice The Joseph Smith Memorial Building. Because of his reoccurring health problems, Spencer Kimball thought it unlikely that he'd ever be church president. However, he was and his presidency was marked by several notable events, including the doubling of church membership, the missionary program and the number of temples at that time. He also decentralized church leadership by dividing the church into Operating Areas with Area Presidencies, and by reorganizing the First Quorum of the Seventy. He setup the Sunday block meeting schedule that is still used today, published the first edition of the Standard Works with study aids, cross references and footnotes. President Kimball defined the "Three-fold Mission of The Church." He also received the revelation that officially ended the priesthood prohibition for male members of African descent.